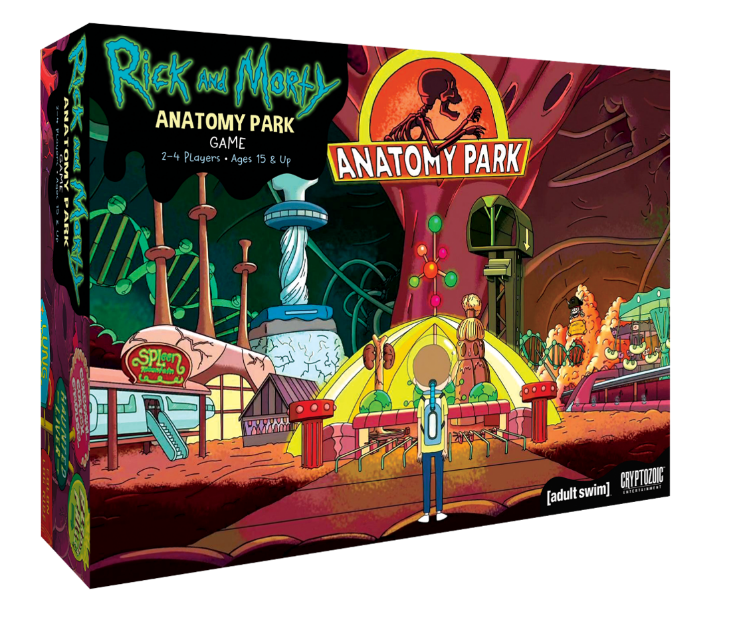 Cryptozoic Entertainment, leading creator of board games, trading cards, and collectibles, and Cartoon Network Enterprises today announced the July 12 release of Rick and Morty: Anatomy Park — The Game. Based on the “Anatomy Park” episode of Adult Swim’s popular Rick and Morty animated TV series, the theme park-building, tile-laying game sends 2-4 players into the body of Ruben, a homeless department store Santa, in order to save the microscopic amusement park built from his organs. Players must design the best park possible by placing Tiles while simultaneously avoiding and fighting Diseases. 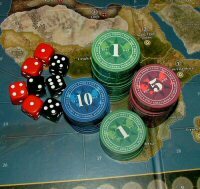 The winner is the player who scores the most Victory Points at the end of the game, which occurs when one of three conditions is met: drawing the first Heart Attack from the Bodily Reaction deck (giving players two rounds until the game ends), drawing the second Heart Attack, or running out of Tiles twice.